Welcome to The Firefighter's Twins Blog Tour and giveaway, hosted by JustRead Publicity Tours! Favorite Bookish Memory: I grew up in rural Alaska with somewhat limited entertainment options. Reading was a significant pastime. In the summer, the bookmobile traveled more than 30 miles to visit my sister and me. What a thrill—books on wheels, right to my doorstep. It was amazing! Favorite Way to Celebrate: celebrations with my parents, my sister and her family involve a simple meal (often pizza), cake and ice cream. With my husband and our boys, we usually go to a favorite restaurant. I don’t like to cook, so any time someone else is in charge of the food, I am a happy girl. I always prefer a small gathering as opposed to a large crowd. A newspaper article or a snippet of overheard conversation often inspires a story idea. Everybody has a story, which is why I enjoy listening to a handful of podcasts every week, mostly female podcasters interviewing other women with incredible stories offering hope and inspiration. The real-life challenges and obstacles that people overcome astounds me. It’s a great reminder that every story needs a strong conflict for the hero and heroine to overcome. I’m a big fan of the Bobbycast, which is a podcast hosted by radio personality Bobby Bones out of Nashville. He interviews songwriters and music industry professionals, and I am fascinated listening to their journeys—how they wrote a song in a couple of hours that they thought wouldn’t amount to much, and ended up being a huge hit. I really like to hear about how songwriters approach the creative process. James MacDonald from Five Days in Skye by Carla Laureano. He is a super swoon-worthy hero! Favorite Place to Read: In bed at the end of the day. I read before I go to sleep (and sometimes late into the night). Books On Your To-Be-Read Pile? It is indeed a pile. I’m a voracious reader, with so many wonderful books to look forward to. On my Kindle, I plan to read Girl, Wash Your Face by Rachel Hollis. In 2014, I took two of our boys to visit a pumpkin patch about an hour from home. It was a former tobacco farm turned into a destination experience. Driving through the small town, I passed a livery converted into an event venue, and goosebumps shot down my arms. I just knew a story was brewing. In early 2015, Harlequin Love Inspired launched a contest called Blurb 2 Book. To enter, I submitted the first paragraph and a back-cover blurb. As the year progressed, I advanced to the semi-finals of the contest, which included writing the whole manuscript and submitting. While I didn’t win, I was invited to revise the manuscript and re-submit. Eventually I was offered a publishing contract for this pumpkin patch inspired romance, and that’s how The Firefighter’s Twins came to be. It was an awesome and intense experience, and truly a dream come true to become a traditionally published author. Which character was your favorite to create? It is hard to choose! I’m fairly confident I sold the manuscript because of the identical twin toddler boys. 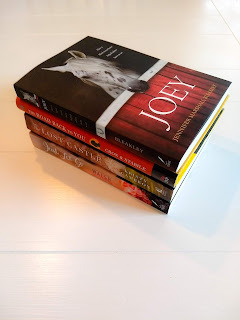 My editor felt they were adorable, and they were inspired by three sets of twin boys that I know in real life, so it was fun to weave them into the plot. For me, the hero Shay Campbell, was the most enjoyable to craft. He’s a single dad and a handsome firefighter, which are delightful characteristics for the hero of a romance novel, in my opinion. He’s emotionally wounded and yet determined to keep moving forward for the sake of his kids. He’s also a bit overprotective (for good reason), which plays a significant role in the story. It was fun to develop his character arc. What message do you hope readers will take away from The Firefighter’s Twins? Since this is an inspirational romance, I hope readers will bask in the glow of a beautiful love story. The lesson that materialized for me in writing The Firefighter’s Twins is that life doesn’t often go like we expect. But God is for us, and He is good, and His plans are better than anything we can orchestrate on our own. Since his wife left, fireman Shay Campbell has focused on work and his twin tod dlers. But the lovely Natalie McDowell is making him rethink that decision. She ’ s great with his boys, and they adore her. But he can ’ t go through losing someone again. Will a dream job offer win Natalie ’ s heart, or does it belong to Shay and the twins? Heidi McCahan is the author of Covering Home, Unraveled, and Love Flies In. She is also an active RWA member and currently serves as secretary of the North Carolina chapter of A CFW. Heidi won the 2014 Idahope contest, and was a 2015 finalist in Harlequin ’ s Blurb 2 Book contest. A Pacific Northwest girl at heart, she was transplanted in the South several years ago, and cu rrently lives in North Carolina with her husband and three boys. Heidi is a huge fan of coffee, dark chocolate, and happily ever after, and can often be found enjoying a good cup of coffee and a great boo k. The Firefighter ’ s Twins, her first novel with Harlequin Love Inspired, is available now. Thank you for hosting and being a part of the tour. I really appreciate it. I really like what inspires you. As a quilter, nature inspires me. Thanks for the post today. I really love this cover. I love reading about families. I enjoyed meeting Heidi and learning more about her book! Thank you for being part of the JustRead Publicity Tours blog tour for "The Firefighter's Twins" by Heidi McCahan. Enjoyed reading the guest post/interview with the author. It's always fun to learn more about the person behind the book. Love the cover and can't wait for the opportunity to read the book. This sounds like a great book, I enjoyed the interview.